Whoa, what an intense watch! I mean I know that the film garnered a lot of love and admiration since the release, and people have waxed lyrical about JK Simmons and the film and all that, but after finally having caught Whiplash, I get it. Whiplash is such a heavy watch, starting off innocently enough and then rocketing on to big and crazy things. Miles Teller was very good in here, and I enjoyed him, but JK Simmons is undeniably the star here. It was so interesting to watch the way that Andrew changes after he comes into contact with Fletcher, and it isn’t a small one, either, though it is gradual. I do enjoy the way this movie looks at pushing an individual to achieve more. Not everyone responds to positive reinforcement, but where are the boundaries when pushing someone? When is it too far? Whiplash explores this, and the bizarre relationship between Andrew and Fletcher will get you thinking. On one hand, you understand certain things that Fletcher does, and how he manages to get people to push themselves to achieve the very best they can, and on the other hand, Fletcher is a total toolbag that needs to be brought into line. Teller worked well, and I admire the dedication he put into the role, to up his drumming capabilities, etc. He played his part, and his splintering personality and change of attitude is mesmerizing to watch. As for Simmons? He owned the screen all the time, and when he was up there he did not fail to fascinate you and repulse you in equal measure. The film was visually stunning, and I loved the sound and the way the film was shot. It looked great. Also, the supporting characters are not really important in this movie, Whiplash is all about Andrew and Fletcher, and that is perfectly alright, seeing as it makes for a dramatic study on right, wrong, motivation, dedication, and change. 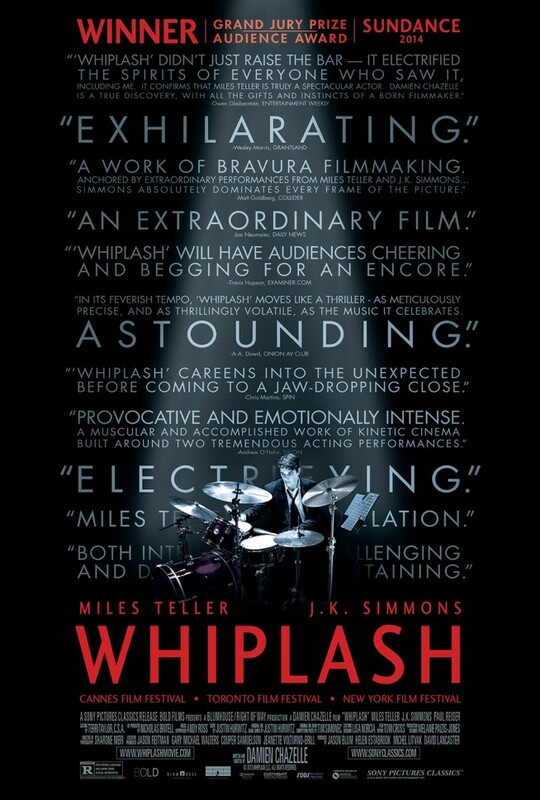 Whiplash really could have gone a whole different, bland way, but the performances from Teller and Simmons, as well as the execution of the film, make it something commanding, domineering, riveting and thought-provoking. Damien Chazelle knew exactly what to do with the film to make it riveting and powerful, something that lingers for quite a while after viewing. I really loved the visuals in this, especially watching the drumming, the blood flying, the sticks, the concentration… that is without even hearing anything. It comes together very well, and I definitely enjoyed it! 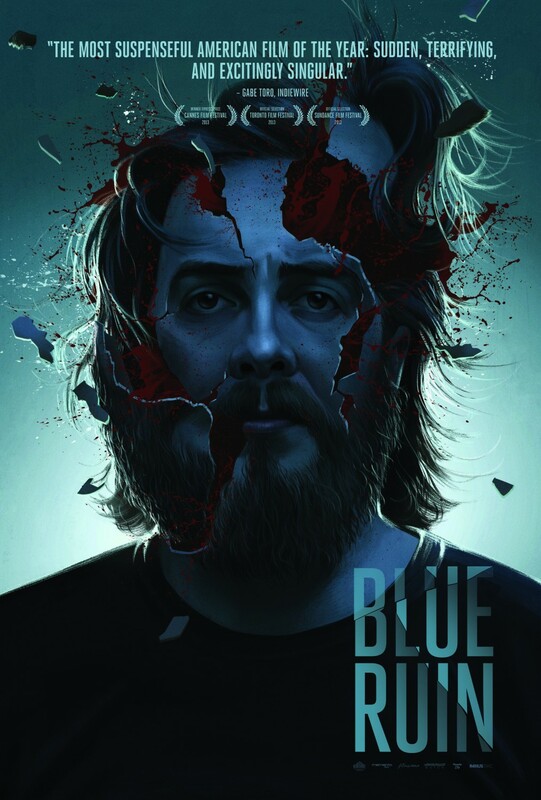 I read a lot of good things about Blue Ruin, and decided to finally watch it for Tyson’s “Recommended By” blogathon, and let me just tell you, it was amazing! 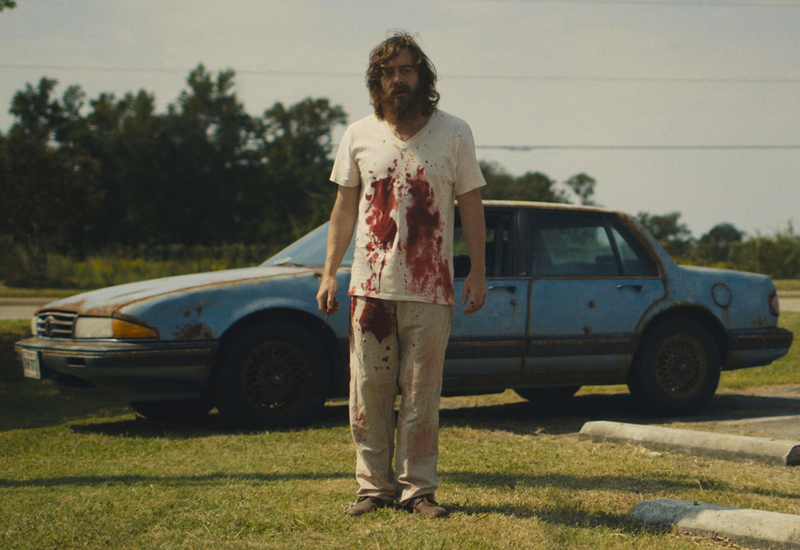 Blue Ruin is not encumbered with a large budget, which sometimes means that filmmakers and directors take away from the story, acting, and plot to inundate it with useless action and effects. This movie suffers from none of that, and Macon Blair was absolutely brilliant as Dwight – that was damn near perfect casting, in my opinion. Blue Ruin is a slow burn, and I love a slow burn, especially when it is well laid out. It starts slow and deliberately builds to a phenomenal crescendo, and the journey there is enjoyable and intense all the way. In a very understated fashion, the film builds an underlying tension you forget about, yet constantly find your body knotted up, reminding yourself to just relax and continue watching, and before you know it, you are at the edge of your seat again, and completely unaware of how you got there. I liked the story, too. Nothing we haven’t seen before or anything like that, but it was presented wonderfully and came together well, too. The entire cast worked very well with their material, and Devin Ratray was especially entertaining for me. Another budget film here, and I have to say that recently some of the independent film being churned out top a lot of their big budget counterparts, and I think that is exciting as hell. Dwight was also more convincing for the things his character was doing. He wasn’t your average everyday man who suddenly had to exact revenge and become a menace and unstoppable. I liked that he wasn’t suddenly so much more than he was. I felt so sorry for Dwight when he was introduced, he strikes such a pitiful character. Blue Ruin was shot stunningly, with some solid directing and great camera work. It’s not a really long movie, but it commands your attention from the off, and never gets boring. I liked that the score didn’t take over or detract from the viewing experience once, but complemented every step of the way. 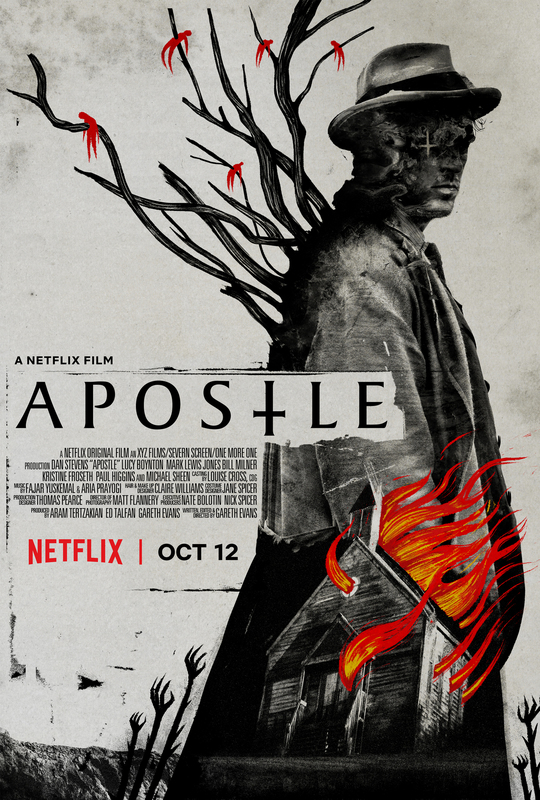 All I can say is that this movie really deserves to be checked out, and is worth the acclaim it has received. I am a fan of it, and I can see myself watching it again.